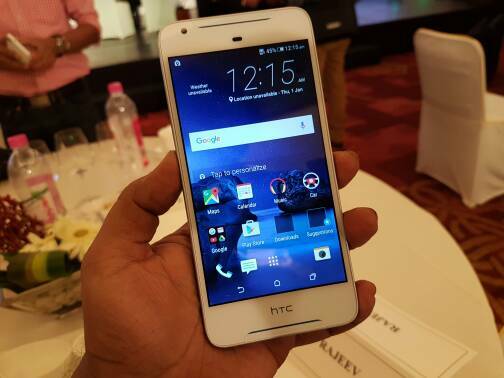 At an event held today in India, HTC Desire 628 was launched alongside the HTC 10, One X9 and the Desire 850. 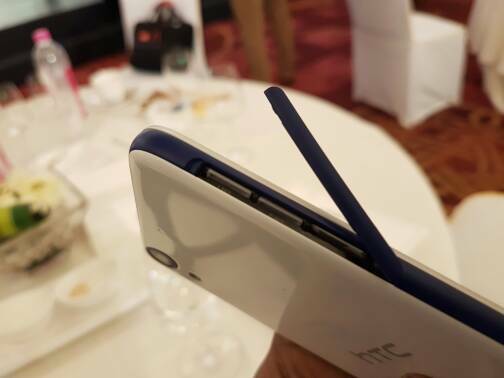 The Desire 628 is the most affordable phone among the four HTC phones launched today and we got a chance to play with it today. While HTC continues to struggle, it has been working hard to keep its existing fans happy while trying to attract some ex-Samsung and other Android OEM users too. 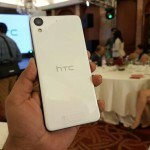 HTC’s hard work shows in all of its new devices that were launched today. Right from the hardware design, specs to the software, the company has been making some major changes and overhauls. We take a look at the Desire 628 in this post today. While the HTC 10 comes with a metal build, the Desire 628 is a colourful little phone. 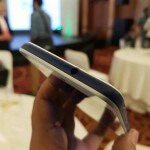 It comes with a high quality plastic shell that looks peppy with its dual tone colour profiles. 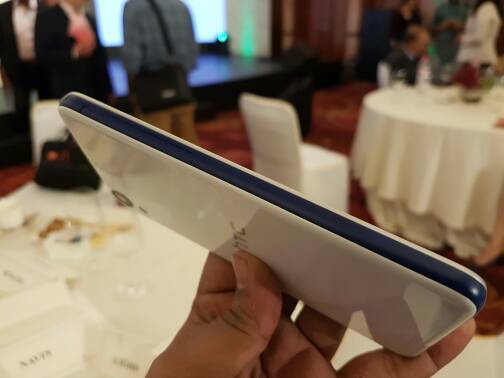 HTC is aiming at the young smartphone users out there who want playful phones – phones that look good but do not give off a serious look like the other phones out there in its range. 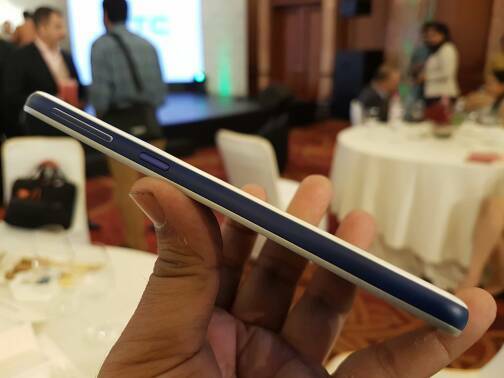 The front of the HTC Desire 628 has a few things going on, making it look a little busy. While the majority portion goes away in the form of the screen, the top and the bottom of the front side are highlighted by the dual BoomSound stereo speakers. 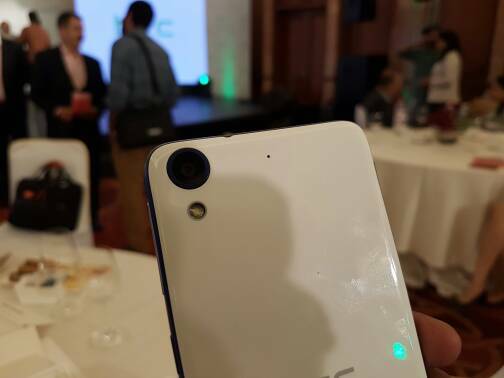 The backside of the Desire 628 is quite bare, with only the HTC logo, the camera and LED flash being present. You will also find the secondary mic to the right of the camera module, which should help in noise cancellation. Coming back to the front side of the phone, you will find the first BoomSound stereo speaker in the middle. To its left, you will find the 5 MP front camera. 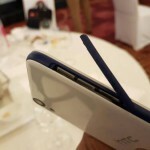 Just above the display, HTC has placed the ambient light sensor for intelligent light adjustments. The bottom of the front side is quite bare again, save for the second BoomSound stereo speaker. Just above the speaker, you will find the HTC logo. While the company has been working on its bezels in the latest generation of its phones, the Desire 628 is unnecessarily big for a 5 inch display due to the bezels on the top and the bottom. 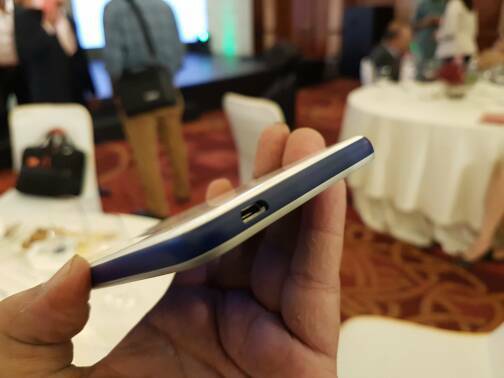 The volume rocker and the power button reside on the right side of the Desire 628. 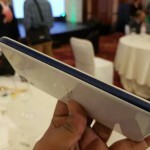 On the left side of the phone, the two SIM card slots and the microSD card slots are present. All the three slots come with a single cover, so you will have to be extra careful to not break it. 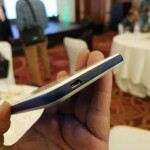 On the bottom, you will find the microUSB charging port for data syncing and charging. 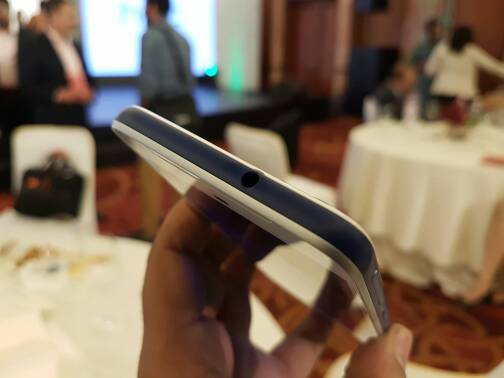 The top of the phone houses the 3.5 mm audio jack. The HTC Desire 628 comes with Android 5.1 Lollipop out of the box, with work underway on the Marshmallow update. It comes with Sense UI on top, with many customization options and additions to the base Android layer. 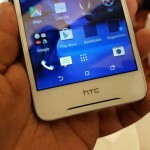 HTC has been working hard to make Sense UI lean and it helps a lot on devices like the Desire 628. While previous versions of Sense UI were heavy and known to bring even flagships to a crawl, the Sense UI on Desire 628 doesn’t try to do too much. Still, the Sense launcher comes with different modes to display a bunch of apps smartly categorized by it. You also get the ability to change themes and download new ones from the Theme Store. 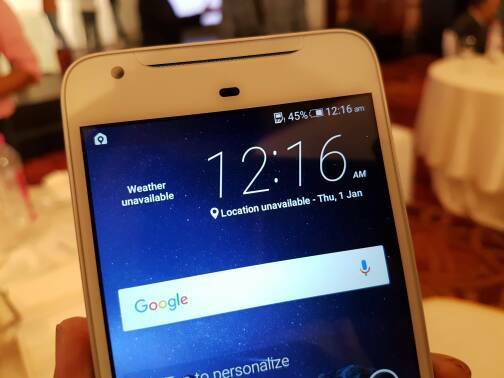 The Desire 628 comes with a 5 inch IPS LCD display with a screen resolution of 1280 x 720 pixels. This gives you a pixel density of ~294 PPI, which is a little less by today’s standards. While the 5 inch screen size is a sweet spot for many, the screen resolution is a bit of a let down, even after considering the phone’s price. That being said, the colour reproduction is good and visibility levels are good enough as well. Camera may not be HTC’s best area when it comes to the results, but the Desire 628 tries to do well. It comes with a 13 MP camera on the back with an LED flash and video recording up to 1080 @ 30 FPS. The f/2.0 aperture and 75° wide angle lens try to help the results as well. 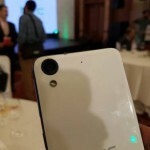 Other than the hardware, HTC has included a few very good software features as well, including Split Capture, Burst mode (up to 6 pics), Face beauty and more. The front comes with a 5 MP camera with a 75° wide angle lens for better selfies and video calling experience. Live makeup, Selfie timer, Voice Selfie are some of the software additions to the front camera. 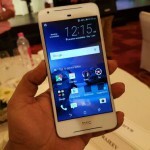 The HTC Desire 628 will have tough competition in its price range. You can get the Xiaomi Redmi Note 3, Moto G Turbo, Moto G4 Plus, Moto X Play and Lenovo Vibe P1. Other notable mentions include the LeEco Le 1S and the Samsung Galaxy J5. 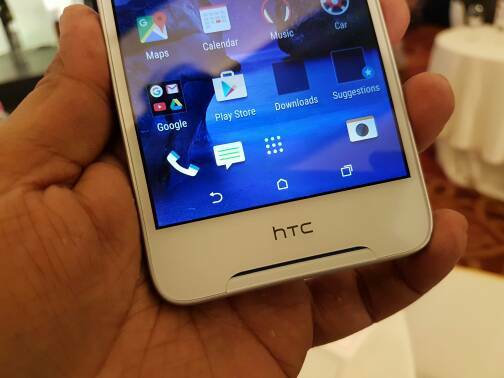 The HTC Desire 628 is priced at Rs. 13,990 for the 32 GB version. It will start shipping from June 5th. HTC is trying to win back some of its lost fans with its new phones today. 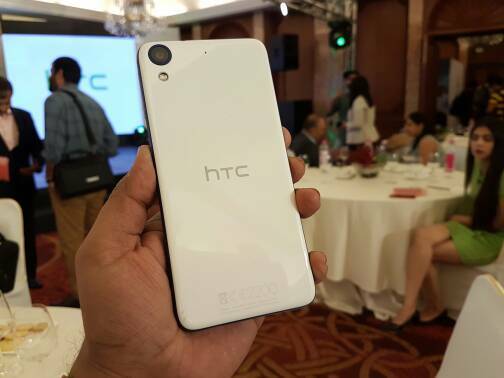 The Desire 628 aims at the young crowd – the college going users, especially – with its dual-tone color profiles. 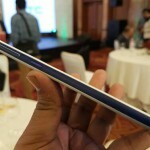 However, it has some serious competition from other Android OEMs in its price range. Over the next few days and weeks, we look forward to testing the HTC Desire 628 and find out if it is worth its price.